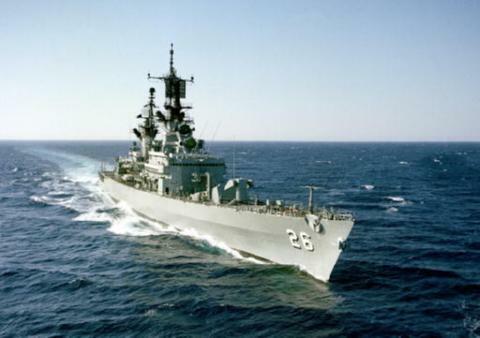 USS Belknap (DLG-26/CG-26), named for Rear Admiral George Eugene Belknap USN (1832-1903), was the lead ship of her class of guided missile cruisers in the United States Navy. She laid down by the Bathwas laided down at the Bath Iron Works Corporation at Bath in Maine on 5 February 1962, launched on 20 July 1963 and commissioned on 7 November 1964. A guided missile frigate under the then-current designation system, and reclassified as CG-26 on 30 June 1975.